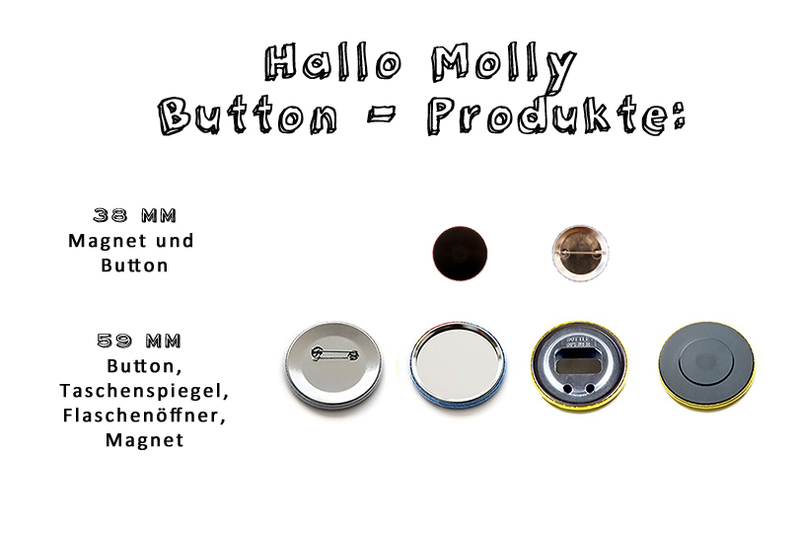 [:de] Hallo Molly bietet ab jetzt vier neue Produkte für alle Motive in unseren Shops an: 59 mm Buttons, Magnete, Flaschenöffner (mit Schlüsselring) und Taschenspiegel. 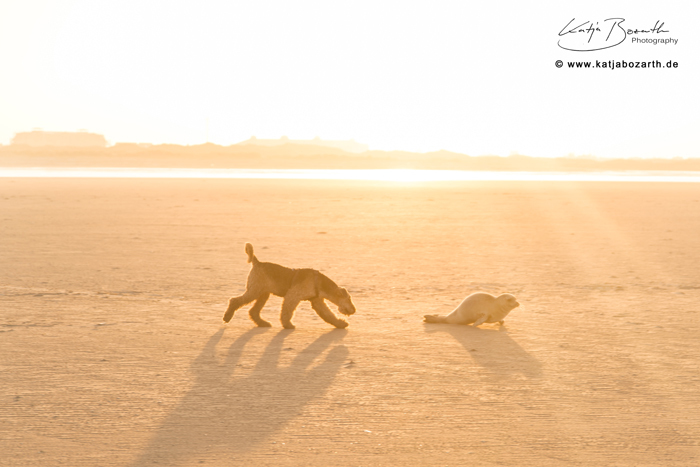 Juchhu! 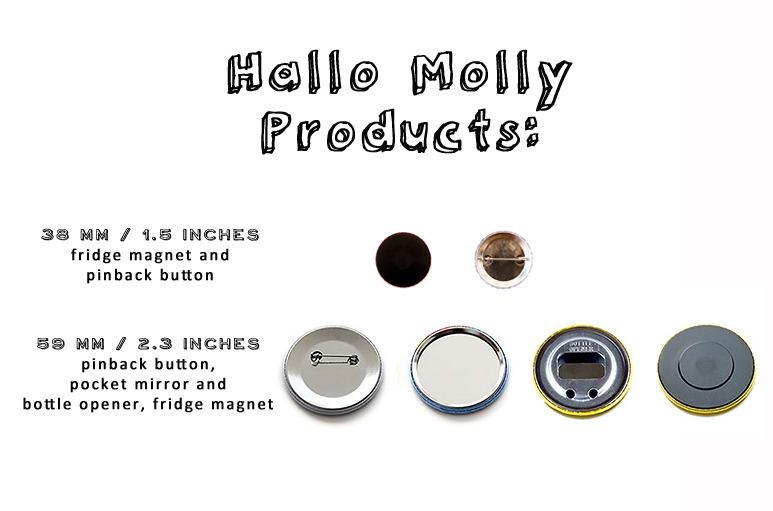 [:gb] Hallo Molly has four new products now: 2.3 inches (59 mm) XL pinback button badges, fridge magnets, bottle openers with keyring and pocket mirrors, hooray! Weihnachts-Gewinnspiel: Wir haben einen Gewinner! Christmas Giveaway: We have a winner! GEWINNSPIEL ! / WIN A BUTTON OR MAGNET SET! 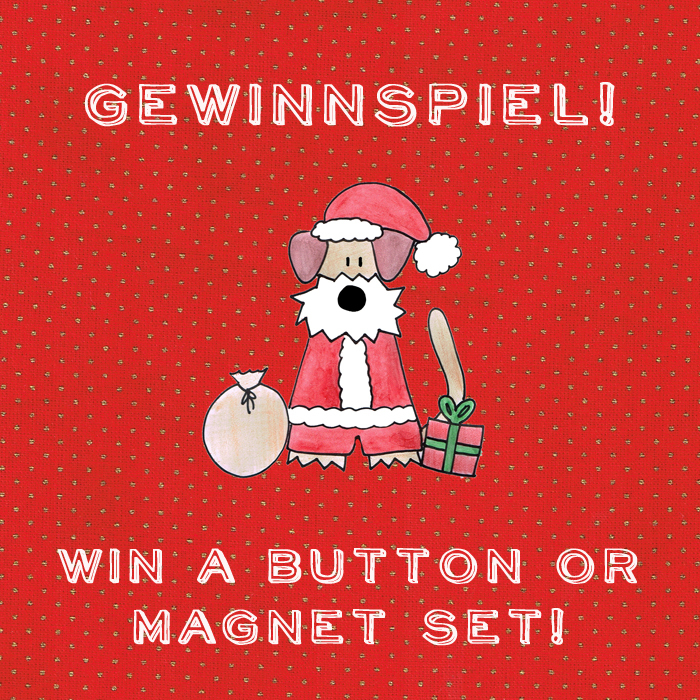 Hallo Molly läutet die Vorweihnachtszeit ein: Zu gewinnen gibt es ein Button- oder Magnetset aus dem Hallo Molly Shop (vier Stück) Eurer Wahl! Wie funktioniert es? 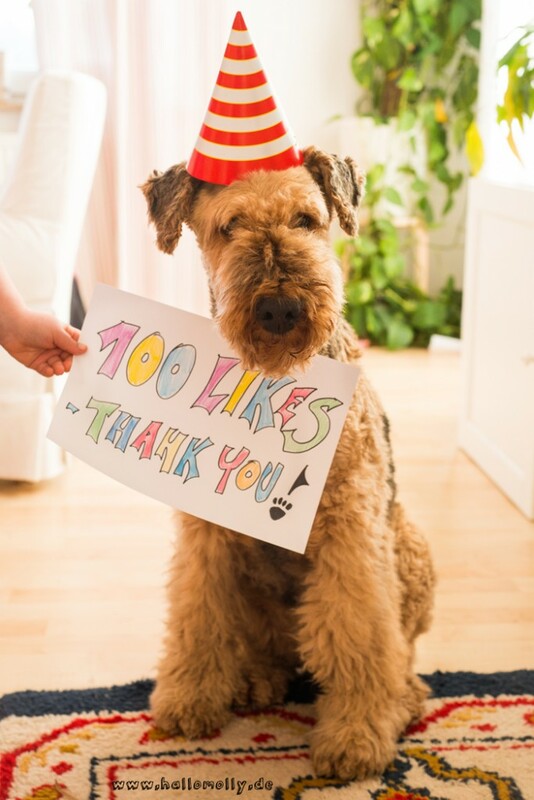 Hinterlasst einfach einen kurzen Kommentar unter dem Gewinnspiel-Foto auf der Hallo Molly Facebook Seite (ein einfaches, „ich bitte“ genügt). Die Verlosung findet dann am Freitag, den 30. November statt. Also mitmachen, Spaß haben und weitersagen! [:gb] WIN / CHRISTMAS COMPETITION! 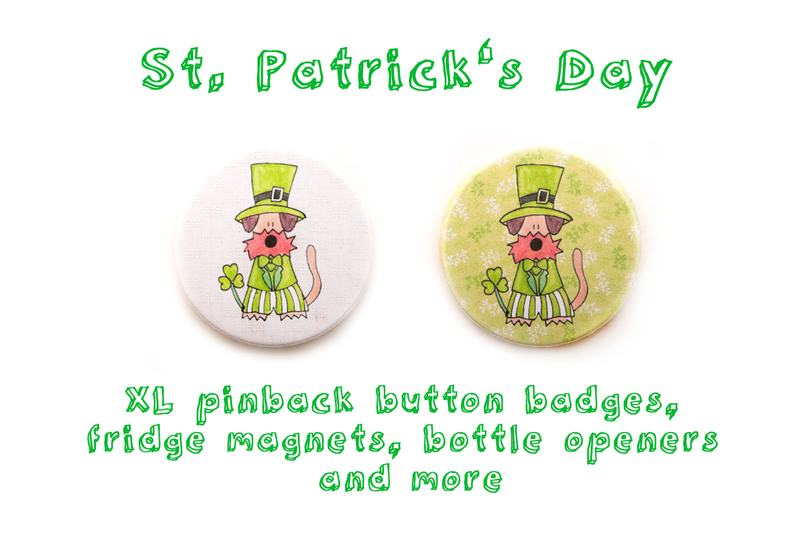 Win a four pinback button badge / magnet set of your choice! 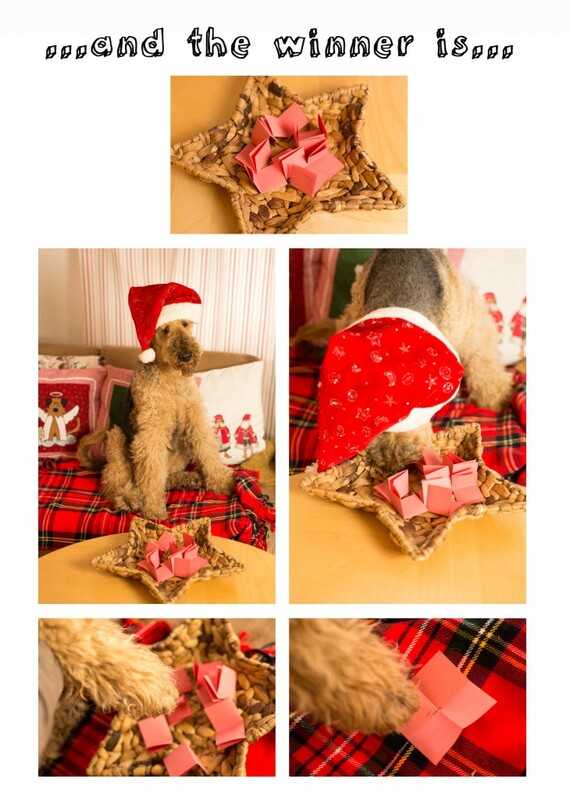 Hallo Molly starts celebrating Christmas early this year and this is your chance of winning a freebie! How do you participate? Go to our Facebook Hallo Molly fansite and leave a short comment below the „win a button“ photo (a simple „me, please“ is sufficient). We’ll announce the winner on Friday, the 30th. 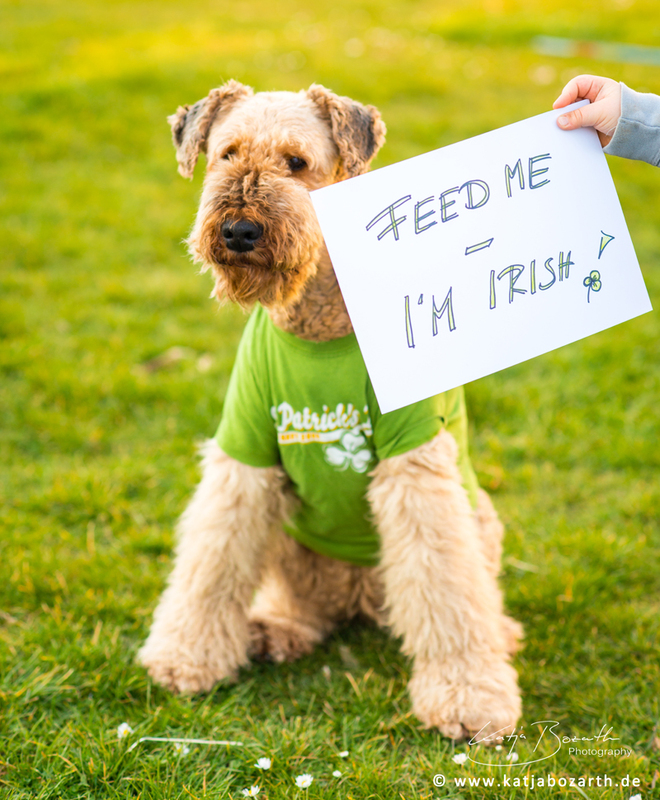 So have fun, participate and spread the word! 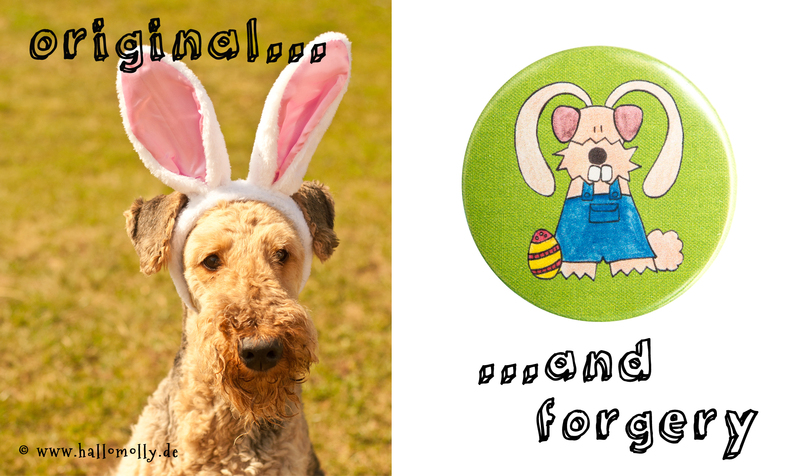 Making of: Hallo Molly Buttons! 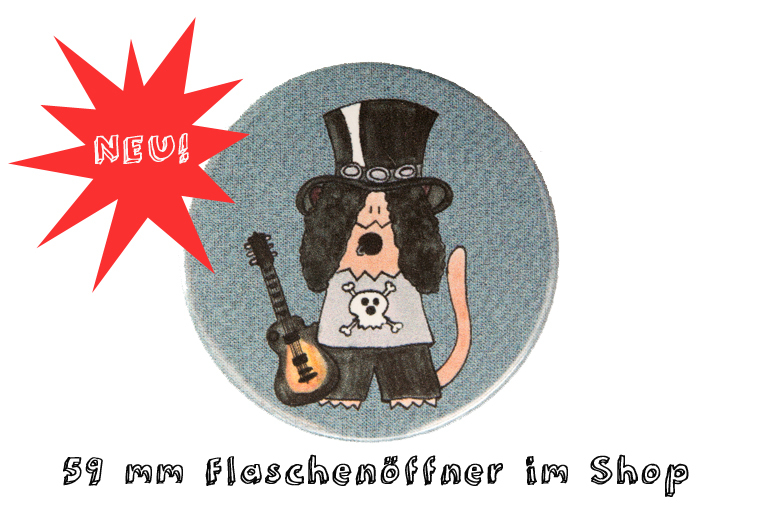 [:de]Ich dachte ich zeige Euch einmal wie ein Hallo Molly Button oder Magnet entsteht. 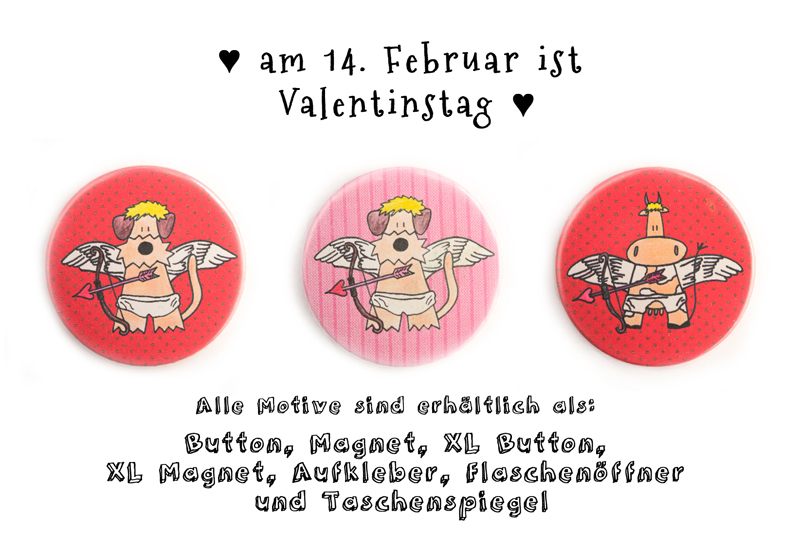 Am Anfang steht natürlich die Idee für den Button, oft inspiriert durch meine Kinder oder meine Lieblingsdinge (z.B. Star Trek, Herr der Ringe, Baden, Essen, Reisen und natürlich für mein inneres Mädchen – wie hier zu sehen – rosarote Prinzessinnen!). Ich zeichne erst die Grundumrisse mit einem weichen Bleistift vor und verstärke dann die Konturen mit einem wasserfesten Fineliner. Nach dem handcolorieren vermale ich auch noch einige Bereich mit Wasser und Pinsel, da ich zum Teil wasservermalbare Buntstife verwende – fertig! Für den Hintergrund der Buttons scanne ich übrigens meine Lieblingsbaumwollstoffe ein und bastle dann in Photoshop eine Vorlage für die Buttons. Den Rest erledigt dann mein Drucker und die Buttonmaschine, hurra! 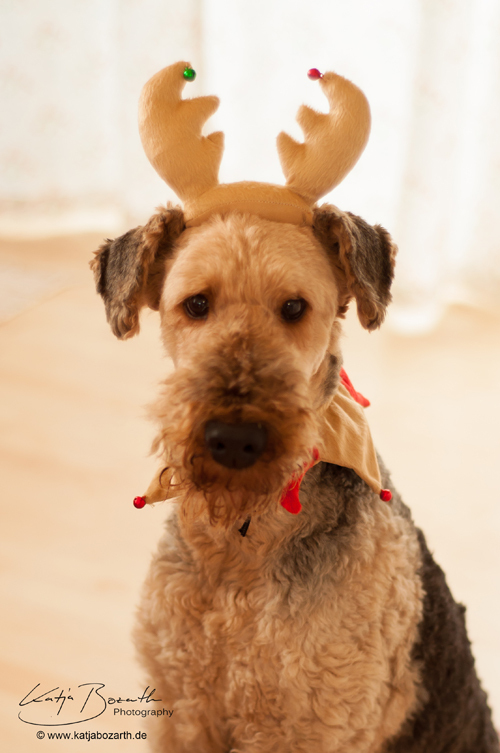 [:gb]I thought it might be nice to give you guys a „behind the scenes“ look of Hallo Molly. So this is how I make my buttons and magnets. In the beginning there’s always some inspiration, usually stuff I love ranging from TV (like Star Trek) to movies (Lord of the Rings) to „mundane“ things like bahtrooms / pools (I love swimming) and to make the girly side of me happy princesses, mermaids etc. Or my kids tell me what they want – usually really great ideas! First I draw the outlines with a soft pencil, later with a waterproof fine liner. Afterwards the whole motif is hand colored, first with pencils, then I brighten the colors up even more by using a brush and water for my watercolor pencils. After having scanned in one of my favorite cotton fabrics I usually use for sewing for the background, I arrange the motif in Photoshop and get my button machine from the window sill. 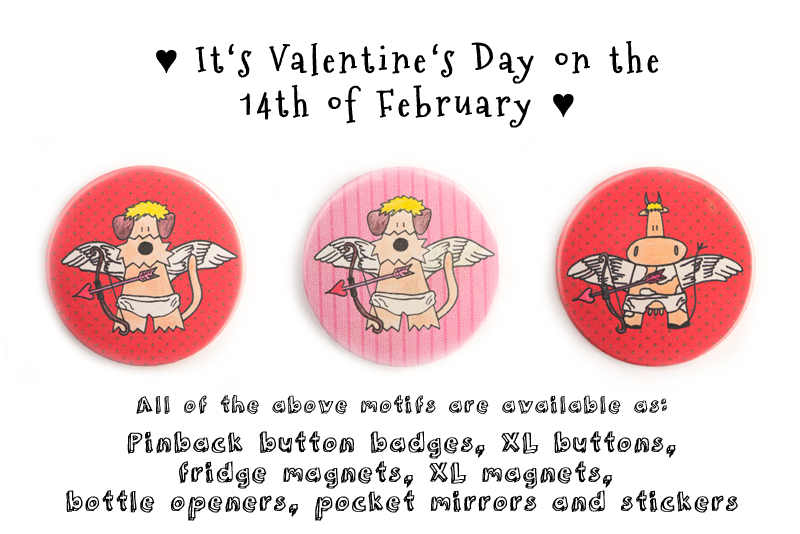 And voilà – a button or fridge magnet is born!